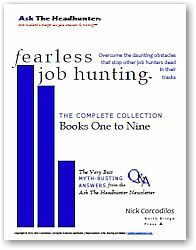 In the December 6, 2011 Ask The Headhunter Newsletter, a reader who helps seniors find jobs shares an “interview invitation” one of his clients received. It’s a landmark! Why don’t more employers do this? Join me below to discuss other ways employers can help you get hired. I’m a training and placement specialist and a long-time subscriber. I’d like to share an e-mail one of our clients received confirming an interview. I’ve changed the identifying information, but otherwise this is exactly how it was written. I love it when employers tell us what they expect. Too often, we are left to guess. What do you think of this approach to interview invitations? During your interview, you should expect to be asked behavioral-based questions where your responses need to be specific and detailed. Be ready to share several examples from your past experience — jobs, projects, teams, volunteer work — where you demonstrated strong behaviors and skills, and think in terms of examples that will show off your selling points. Be sure to come prepared with both positive and negative examples. To learn more about XYZ products and services visit [our website]. Gee — Imagine that! An interview invitation that includes the actual names of interviewers a candidate will meet and talk with. Most employers won’t disclose this information for fear that the candidate might actually call them prior to the interview. Perish the thought! Most employers don’t want to tip their hand about what you will be asked in a job interview. That would be giving it all away and it would destroy the element of surprise! 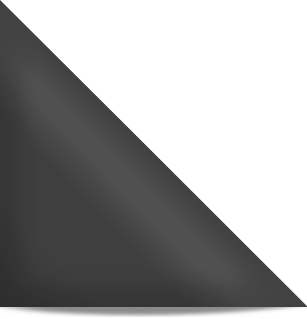 Why enable candidates to prepare before they interview? Better to let them show up wondering! Do these same managers also give their employees surprise assignments without any suggestions about how to do the work? Employers behave like total dopes when they schedule interviews. It’s a rare employer that actually helps the candidate prepare. My hat is off to this organization — it clearly believes that helping a candidate succeed in the job interview will help it make a better hire. Call the candidate in advance, on the phone, and suggest specific resources the candidate should use to prepare for the interview. Offer to let the candidate talk with team members to ask questions so he or she can prepare fully for the interview. Conduct a “cook’s tour” of the facility prior to the interview, so the candidate can see firsthand what the work — and the business — is all about. Some employers might scoff that this would be a waste of time, and claim that the purpose of the interview is to discuss all these things. I say bunk. A good manager would never blind-side an employee with a work assignment. A good manager would encourage and help an employee prepare in advance, to help ensure success. The point of a job interview is to expedite hiring a capable candidate — so why not help ensure success by prepping the candidate? It’s all the same challenge: to get the work done! This edition of the newsletter is intended to be more even more interactive than usual. Please help extend my list of what an employer can do to help a candidate prepare for an interview — and to help the candidate succeed. What would you like to see employers do to help you get hired — and to help themselves efficiently fill a job and get the work done? What would you add to the list of helpful information offered by the employer in Chris Walker’s example? Is anything “too much,” or how extreme could an employer get? When should you bring up money? The only time I encountered this type of communication was when I interviewed with premiere business consulting firm. As a hiring manager, during the initial phone interview that I perform, I explain the interview process to the candidate, what they can do to prepare and who they’ll meet with. I then verify that what they’ve claimed on their resume is true. Shock of shocks, but the recruiting team doesn’t perform a resume validation on candidates. You’re right that the recruiting process assumes everyone’s lying and we have to try to trip them up — interesting, we’re trying to hire people we desperately need to do the work, but yet we’re trying to make candidates fail. If I did that with my employees, they’d eventually quit and my customer would go elsewhere for services. Oh and before they quit, they’d go to HR and HR would be all over me to do a better job of defining expectations for my employees. It’s too bad we treat job candidates like the enemy rather than the next great hire. I routinely interview engineering students attending a prestigious university for well-paid internships at a municipal government. When arranging interview times, I typically phone them with expected attire (business casual – no suit), where to park, who will be interviewing, and ask them to bring x copies of their resume (a check on following instructions). I also take time to talk with them about the duties of the position (which vary) but might be something like: simple surveying with a level, challenging interaction with members of the public who have just learned about a large expense, condition evaluation of sidewalks, and construction inspection of sidewalk construction. I am astounded that most students don’t prepare at all – they can’t be bothered to crack the first chapter of an elementary surveying book or quickly review concrete properties. I usually ask them how many cubic yards of concrete can fit in a wheelbarrow and hardly ever get a reasonable answer. I ask them to provide a response to a simple question from a member of the public and learn a great deal about the applicant’s thinking. I look to understand attitude and approach to work. I’m also surprised how students often shift interview discussion to what they think would be good for them. I help them reorient by asking what they’d say if I asked to cut their hair because I’ve never done it and doing so would round out my experience. After noticing general themes of suboptimal resumes and interview preparation, I understood that students didn’t know how to put a best foot forward. I started working with the student engineering society to offer once a year no cost resume workshops pairing each student with a working professional for a series of resume revisions. Those who participate in the full process dramatically improve their resumes and their understanding of the job search process. 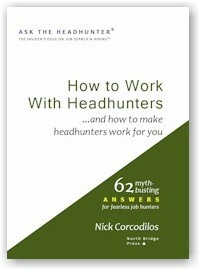 I always mention http://www.asktheheadhunter.com! “You can let him know please, he will be meeting with 3 to 4 different department heads. We do not give out any more private information that this, so I hope this helps. Thank you for your prompt attention to this matter. Have a great day.” I guess I have some more coaching to do! It seems like people allow themselves to develop weird attitudes about not helping others that they should be partnering with. I have seen this happen in customer service settings too. Helping a candidate prepare is a form of teamwork, if your organization values teamwork then there is no reason not to demonstrate it at all levels. To those who would argue that helping candidates would breed entitlement, I would ask them why they are behaving so entitled by not helping. In my first position where I was tasked with hiring talent to fill my sales team, my interviews went like the “surprise” system that most firms’ use. Results: some people got hired yet didn’t fill the position well. That was my fault. And was a condemnation of the “accepted” system. Often, I hired without truly knowing how well the person would fit. And then had to re-do the process some time later. The discovery of sharing information with people that look attractive based on their initial communication led to people who decided they wished to pursue an interview. Those folks typically showed up ready and wasted neither their time nor mine. New results: greater sales from new hires and far improved staff retention rates. Customers loved it because the “revolving door” treatment stopped. I like your subscriber’s example letter in the way it communicates what to expect at the interview. I plan to incorporate those elements into my current hiring process. I’m self-employed and most of my work is done on a freelance basis, so I find that I am often “interviewing” with prospective new clients. Implementing the strategies I’ve learned from Ask the Headhunter has proven much more effective than job boards or “traditional” interview prep. However, I’m often taken aback by how difficult it can be to get information from prospective clients so I can prepare for a phone interview. Or, I’ll be asked for references, and when I follow up to ensure that those I submit are most relevant to the opportunity, I can’t get any guidance. It does often feel as if there is a presumption of incompetence and a reluctance to share information that would really only help determine whether the relationship is a good fit. I’m grateful for the above example – it’s nice to have a model to look to when thinking about how to be more open and transparent in this process. I just had a series of interviews with a software company which hires only ‘smart’ people. I was going from a developer role and trying for a developer role. At first I was rejected because my undergraduate degree wasn’t computer science enough (they thought all I knew was business and I had never programmed during my degree – which was more than 25 years ago). Then they reconsidered when someone pointed out to them that my undergraduate degree had the proper qualifications and that I have been doing development. I asked for some guidance on what the interview was going to be like and what to study for. I was told to prepare to understand their business so I went and renewed my understanding of the common business terms they use in their software. I reviewed my technical programming skills lightly. So I go in for the great rat maze of testing they do. They had a logic test. Then they had a developer ask me random sql questions. Then I was told that I did better than 90% of the people who come in for an in-person testing interview. Oh joy! I wasn’t asked about my relavent business experience, and the whole tenor of the conversation was that I wasn’t as smart as they were because I didn’t pass those tests. By the way, I absolutely know what my IQ is. This is a little off topic. Back in the days of paper-only forms, it was rare for a potential employer to mail me an application form prior to the on-site interview — in spite of having adequate time to do so. I would usually be expected to waste valuable time, prior to the actual interview, filling out a multipage form. One especially irksome HR person expected applicants to avoid using the “see résumé” timesaver. Another irksome HR person had me wait 1-1/2 hours before handing me the form! On-site interviews often involved significant same-day air and/or ground travel; some of these cheap prospective employers were Fortune 500 corporations! Nick, thanks for sharing this. It reminds me that not all employers are automatons who decided that the way to find the best person for an open position is to be secretive and unhelpful as possible. Take that approach and that leaves the interviewee guessing how to address the problems the employer is planning to have him solve, which does neither party any good. Wouldn’t it be better to be able to go into an interview with some knowledge and be better able to tell the prospective employer how you’d solve these problems? If you know what the problems are, you might even decide not to take the interview if you know that you lack the experience, expertise, etc. This, too, saves both you and the prospective employer time and money–both of you are then free to interview elsewhere and interview someone who can solve those problems. 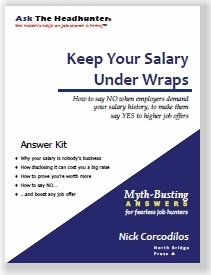 Nick, this is a common sense approach, and one that is sorely lacking with most employers. Sense is not common. Blindly doing what was done before simply because that is “how it is done” even when it doesn’t work is stupid. A good employer and employee will have to be able to tweak work and strategies when the results don’t pan out. The interview is no different. And just because it is tradition to handle interviews a particular way doesn’t mean you have to do it. There are no state or national interview police who will write you up if you decide to give relevant info to candidates prior to their interviews. Years and years ago, I worked in libraries. One of the librarians was telling me a (true) story about how people get so attached to processes that they stop thinking about what they’re doing, why they’re doing it, and whether it is necessary or works any more. She was preparing to make a roast for dinner and as per usual, she cut off a piece of the roast before placing both pieces into the pan. Her husband watched her cut off the piece of the roast and asked her why she did that. She realized what she did, thought about it, then said she didn’t know. Her mother had always cut off a piece of the roast before putting both pieces into the pan and her mother had taught her basic cooking skills. She and her husband asked her mother, whose response was the same as my former colleague’s: she didn’t know either, but HER mother did the same thing. Now that their curiosity was piqued, they asked the grandmother, who chuckled and said that she cut off a piece of the roast because her roasting pan was too small for the whole thing to fit in in intact! A perfectly logical and sensible explanation–and one that worked well for the grandmother with her too small roasting pan. The mother and my colleague had roasting pans that easily accommodated the roasts without having to cut pieces off in order to get the meat in them, yet they blindly followed what the grandmother did without thinking about WHY she did what she did nor that what they were doing wasn’t necessary anymore. Too funny! But apt–HR and hiring managers aren’t required to follow a script that says treat every applicant as a dirty lying scoundrel so we have to be secretive, unhelpful, mysterious so we can trip him up. Glad to know of at least one company that has some brains and isn’t afraid to handle interviews differently. Nick, I’d much rather know ahead of time what problems/challenges the employer is facing so I can think about them and decide how I’d address and solve them. If the employer decides to play secret squirrel, or can’t be bothered to tell me who is going to be interviewing me, who I (as an employee) will be answering to (my boss), what the job specs are, what the specific problems/challenges this position and employer is facing, I think I should start to wonder if that is how they will treat me as an employee if I should be hired. Will I be expected to identify and define the problems? Will the employer/boss merely drop projects on me with no warning, impossible deadlines, and no guidance, telling me to “figure out it” and “don’t bother me” but at the same time expecting high quality service? I’m very good at working independently and with little guidance, but that comes with experience and time put in at the company and in the job. But every employee, no matter how lowly or highly ranked, still needs guidance and help from time to time, and needs a reasonable amount of time to complete projects. I’ve been in a job with unreasonable and obstructionist bosses and regularly had projects dumped on me as in it needed to get done yesterday/last week and then I had to stay until 10 pm in order to get it done by the 7:30 am next day deadline. It isn’t fair–not only to me but to the employer, not if you want a good job done. And that kind of thing is a recipe for burn out. Two specific practical ideas that all should adopt: Send the application form to be filled out before the interview, and do the workplace tour *before* the interview. 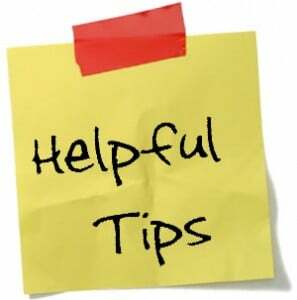 Most people are a little tense and awkward at the beginning of an interview and the tour can fix that as well as provide the interviewee with ideas for specific comments and recommendations based on what s/he saw. Recently there was a discussion on Focus.com about what happens or should happen when a salesperson is asked to sell a product or service to a customer that he has personal ethics issues with. Two examples were a veteran asked to sell weapons components to a questionably friendly government and a pro-life salesman asked to sell medical equipment to an abortion clinic. It would be far better in this case for a company to be upfront with a candidate as to who there potential customers might be so as to avoid issues down the road. Your roast anecdote is identical to one that I heard approximately 27 years ago. My male co-worker said that he was talking about his wife, and her mother and grandmother. Either this anecdote is an urban legend, or the actors were in/near Harrisburg, Pa. Ten minutes of walking about the actual area you’ll be working in is easily worth more than ten hours of dancing around the issues by answering questions about your favorite color. When I was unemployed and desperate, I jumped through hoops. Now that I’m underemployed and annoyed, I politely try to wrangle a peek at my future workspace before, during, or after the interview. If the place is in town, I at least do a drive-by before I even apply. Being in the actual arena sometimes puts me in my element, and lets me exude more confidence than I would in an office or conference room. The company asked me to prepare a presentation of work I had done for the interview, I met with all potential colleagues and we used the presentation to discuss real technical topics. Someone with more experience got the job, but the hiring manager actually called me – not emailed, called! – to explain why I was number two, and also asked for feedback on the interview and even on how they could improve the hiring process. Now, that’s showing the candidate respect! What a great mix of comments and suggestions — from employers, job hunters, and headhunters. Now if only we could get more employers (and HR folks) to check this out…! It seems to be something of a tradition in public speaking to tell a story as if it had happened to you, and I wonder if that’s what might have happened here. I’m sorry–I didn’t tell the story to be annoying, but to point out that too often employers don’t think outside the box when it comes to interviews. As Nick said, they prefer to view candidates unfavorably and devise ways to trip them up. That hardly creates a good impression for candidates–as a candidate you are interviewing the company too. It should be a two-way street. Why do employers do this to their top choices among candidates for positions? Is it because they don’t know any better? Is it because they are paranoid and distrustful of outsiders? Is it because they are ignorant of better ways to interview people so they get a clear picture of who will be the best person for the job? As Nick said, employers shouldn’t blindside employees with projects, so why blindside candidates? I don’t know about the roast story being an urban legend–the colleague who told it to me never lived in PA, and her grandmother and mother were Irish immigrants. Once again, my apologies to all whom I have offended. Getting back on topic, I would say that this employer behaviour reminds me of academic examinations. The candidate can only do generalised preparation – they won’t get any kind of warning as to what the questions might be. Collaboration and assistance of any kind is regarded as cheating or favouritism. The teacher is NOT supposed to do anything to make the candidate’s task easier. Why do they do it this way? Could it be a way of trying to make things as “fair” as possible for those who aren’t good at networking? Or is it just a belief that an examination means you find out who the best person is? I took a second look at these posts in order to find something annoying and/or offensive. I failed at that task. But it was interesting to learn that the roast anecdote — which I heard only one time more than a quarter century ago — is, apparently, an urban legend. I think it’s like hazing for fraternities and 24-hour working shifts for interns in hospitals. The people in charge had to deal with that BS when they were coming up so they are bound and determined that everyone after them will get the same lousy treatment. Whether it is effective or not is irrelevant. It just wouldn’t be fair to change things, even for the better. @G: I wish I could fire everyone who invokes “fairness” to defend ridiculous interview practices. Interviewing is not about being fair. It’s about identifying a candidate you want to hire. Anything you do that leads to a good choice is the right thing to do. This inherently rules out bad behavior, because the employer would only be hurting herself. 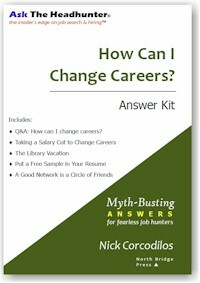 Consider this example: The interviewer asks everyone the same questions in the same order, to be fair. So what happens when one candidate stands out, and responds with something that triggers questions and dialogue that are not part of the protocol? That often signals a stand-out candidate. (“We want out-of-the-box thinkers who will change our business!”) That’s the point where “fairness” goes right out the window — that candidate should be encouraged to demonstrate outside-the-protocol performance. That’s either the person you want to hire, or a very short interview because it’s gone south. The moral definition of “fair” is NOT that everyone gets the same or an equal share. It IS that everyone gets what they need. Each person’s needs differ. Sometimes I wonder whether some employers are secretive about the hiring process because they want to see if you can network your way to adequate preparation without their direct assistance. Especially in jobs where relationship management and/or internal networking is an important skill, I can imagine a hiring manager wanting to challenge candidates to find out about the process on their own–expecting candidates to contact people at the firm and holding informal informational interviews prior to the formal job interview. Just because HR won’t disclose details about the hiring process doesn’t mean that the relevant business unit(s) won’t spill the beans if you ask them. @Justin: That’s a legitimate question, but I think you’re giving employers in general too much credit. In all my experience, I’ve known precious few employers who are so thoughtful about their advertising strategy. They just tend to dump their job listings somewhere and then wait. But I agree with you: Many managers often ignore silly edicts from HR. They’ll talk to you if you ask. I run a small search firm and one of the questions I always ask my clients seems to surprise them. Just yesterday I was asked by a small medical device firm to describe what kind of information I would need in order to be fully able to begin to find top-notch candidates. It never fails to astound me when that question, which I always ask, surprises HR or the Hiring Managers. How could that not be critical? Mostly, in larger companies, the well meaning HR people simply don’t know the answer. Yet it is, to me, hugely important. Recruiters or individuals should want to know as much about the politics and personalities of the team as much as they’d want to know if the job is newly created or newly vacant. I’m just saying…. Applause for Claire Powell and the person who posited the ethics examples above. Whether or not a candidate can do the job well SHOULD be the determining factor, but unfortunately is often not. If only life were that simple. Interviewers should open the door for potential candidates to ask about work styles and company culture. More important, they should be willing to answer these questions frankly. The politics of a workplace are mostly hidden from candidates because “it’s none of their business.” But in my work place, a membership organization, if candidates aren’t informed during interviews about member/staff issues, politics, and problems, they tend not to last on the job more than a year or so –because the wrong personalities take the positions or candidates come in with inappropriate expectations. @Clare: I think that is not only a fair question, but an honest and important one. As a job seeker, that is a question that is on my mind, and one that I’ve asked during interviews. I’ve received blank stares in return, followed by “I’ve never thought about that” (an honest answer, although it worries me for another reason) and once was told that wasn’t something I should worry about. I ended that interview early–either they hadn’t thought about or or they didn’t like me asking the question. Either way, I thought it meant disaster. I don’t expect “fair” during an interview in that I don’t expect interviewers to give me the answers. It would be a basic courtesy to let me know with whom I’ll be interviewing, and his/their title(s)/position(s). I fully expect interviewers to play “hide the ball”. Give me hypothetical problems/situations/crises and ask me how I’d solve them. But don’t ask me inane, half-witted questions like “what kind of animal would you be?” (or color or fruit or celebrity) and then bemoan that you can’t find a candidate to read your mind and do well in the job because she didn’t guess your favorite celebrity. Yes, I think employers should be honest with candidates. Interviewing is a bit like dating–if you’re not honest with eachother, if you pretend to be someone else, then it is doomed. The same with employer-employees. If the politics and culture of an employer is such that one person on a team or within a company holds the whole team/dept. hostage, that the job is vacant (again) for 6th time in 19 months and not due to promotion, if the expectation is that you work 18 hour days and bring work home or the employer is such a micro-manager that the company controls which side of the computer employees’ mice reside, even for southpaws, and people nitpick over things like not having a leather jacket, not buying dessert from the coffee cart twice per day, being chastised for drinking tea instead of coffee, then I want to know what the atmosphere is like BEFORE I go further in the process. And I should think that if these things are so important to an employer in an 8th grade kind of way, then the employer too would want to know–both parties should want the fit to be a good one. Unless the candidate is stupid or lazy or both, a candidate can be trained, assuming the employer is willing to invest in training a newbie, but fit is something that can’t be forced. Excellent post, though I know it was just an example of the kinds of odd ball questions interviewers feel free to ask, I am not sure I would be able to speak if asked what kind of animal I would be, though cheetah comes to mind and I would likely smile and say cheeta and show them how quickly they move to get away from danger. By the same token, I must tell you that those interviewing for jobs sometimes are more concerned about getting employed than finding the best place to work. Doing a great deal of homework before an interview – even if, sadly, you are not told with whom you will meet – is an obvious but often forgotten exercise, and critical. In this market, with so many people looking, the best prepared are the most desired and most often hired. Nick opines about this last issue regularly and I concur! I once lost a screening interview because I did not not show that I could reasonate freely and stringently on a question on my opinions on privatization. Which may be an interesting topic, but irrelevant and only surprising in an interview for a geologist position. Which, was conducted by a HR jockey educated in law. If they (like that HR jockey) reply that it is to test your critical thinking and reasoning, I would (today, not then…) ask about how their methodology is developed, how they know it is reliable and valid, and how they verify what is correct answers. @Karsten: I’ve yet to meet the HR person who knows what statistical validity and reliability mean. HR routinely buys interview materials from “consultants” who pawn off garbage as state-of-the-art. To HR, paying big fees to consultants makes them feel they’re staying on top of modern methods. Yah. @Clare: I agree with you–employers can ask any kind of questions they want (except for those deemed illegal). When I was on hiring committees for my last job, I was most concerned with finding someone who could do the job. I used to ask hypothetical questions–the what would you do in this situation kind of questions. They were based on reality–issues I’d faced or challenges I’d seen in the dept. I wanted to know how the candidates would handle problems because we were hiring them to handle problems. We never asked what kind of animal or color or fruit they would be because that just didn’t make any sense and didn’t help us winnow out the candidates. The only other reason I can think of for interviewers to ask screwball questions is to see how well you can think on your feet, how well you deal with the unknown. That still doesn’t tell me how that person would deal with a real problem. And to me, a wiser candidate wouldn’t answer off the cuff because most problems aren’t solved by winging it (or at least not solved very well). When I calls or emails asking me to solve problems or to deal with something I hadn’t faced before, I explained to the student, applicant, faculty member, whomever, that I didn’t know the answer but that I would research it and get back to him. And I still think asking about what animal, color, fruit I’d be is a dumb way to determine how well I think on my feet. I’m becoming more and more convinced that many people who are doing the interviewing aren’t skilled at it, or they were asked the same dumb questions so they get perpetuated. The person who doesn’t guess the correct animal or fruit might just be the best person for the job, if he’d been asked the right questions and given the opportunity to show what he can do for the company. @Karsten: yes, I’d probably run too. The older I’ve gotten, I’m learning to trust my gut and my past experience. Interesting thread, and thanks Nick for another good topic. You may…or may not…be surprised to learn that the company was Shell – the big oil major. The more I think about it, the more I think asking back about reliability and validity is a good idea – because it gives the interviewer a chance to keep his/hers honor, and also to learn something for future recruiting. @Karsten: Shell! Oy vey! Yes, I’m very surprised, because I would have thought that they would know better. It would have been better if you had been screened by a geologist rather than an HR jockey. Or if none of the geologists were available, then why didn’t the law-trained HR jockey contact one of their geologists to pick his brain and get a sense of the kinds of questions he should be asking you. That’s what I would have done, and what I have done when asked to be on a committee and interviewing candidates for a position that I have no background in–I emailed and dropped by the offices of a few epidemiologists, reminded them that I was on the hiring committee for the position in the epi dept., and since I didn’t have a background in epi, what should I be looking for in a candidate (besides a Ph.D, DrPH, DSc in epi)? How much experience, work in the field, any particular areas (cancer? stds among teenagers? AIDs? ), publications, grants, if you were on this committee, what kinds of general questions would you ask? Most people with training or background in law have the sense to bring in the experts in areas in which they are not experts, or at least to find experts and pump them with questions so important things don’t get missed. Maybe Shell’s HR jockey forgot his legal training, or maybe it is reflective of the values of the company–they were more concerned with politics than finding a good geologist. Sometimes that is important too. One of the discussions I remember having with students and faculty at my last job was over ethics (medical and public health). There were quite a few stories in the news re doctors, nurses, and pharmacists being given the right to refuse to provide certain information, the right to refuse to fill certain prescriptions, if it went against their religious/moral beliefs/ethics. (This pertained to providing information/education about pregnancy, birth control, abortion, and to filling birth control prescriptions.) I was just amazed that states were writing “morality” clauses that exempted doctors, nurses, pharmacists, and other health care providers and practitioners from giving a woman information about birth control, from having to fill birth control prescriptions, if doing so went against the doctors’, nurses, pharmacists’ religious/moral beliefs/ethics. If you go to medical school, do your residency in ob-gyn, then common sense says that at some point in your career you’re going to be treating women who wish to limit the size of their families by some means other than abstinence. Ditto for nurses and pharmacists. What I couldn’t understand was that if these are your ethics/religious/moral beliefs, then why would you go into that kind of practice (which will challenge your beliefs/morals)? If you’re a Christian Scientist, then why would you become a pharmacist? You will be in conflict with your religious beliefs every moment of every day. If you don’t believe in birth control or abortion, then don’t go into ob-gyn–you have a right to your beliefs and to live according to your religion and morals, but you don’t have a right to force them on me, particularly if we’re in a rural area and you’re the only doctor or pharmacist around for 80 miles. Pick something else–surgery, dermatology, ENT, that won’t compromise your values or put the people who come to you for information and care at risk. If you do decide to go into pharmacy or ob-gyn, then be prepared to check your beliefs at the door. Lawyers often have to check their personal beliefs at the door when representing clients; you learn that in law school and in your first jobs. If you can’t handle it, then you go into another area or you get out entirely. @Clare: A cheetah is a good answer. I was thinking about this and thought I might have answered “a giraffe” (someone who sticks her neck out). I’m not sure either. It is a confusing question, and hard to know what prompted it and what the employer is looking for. Is he looking for someone who will stick her neck out? Is he looking for someone who is fast (like a cheetah)? Is he looking for someone who never forgets anything (like the elephant)? A fox (someone who is cunning)? That’s why I don’t like those kinds of questions, and why hypotheticals based upon daily life in the dept. you’d be working for are better. @Karsten: most HR jockeys don’t know anything about statistics, much less standard deviation or reliability. For that, they have to find a statistician to answer those questions. Wouldn’t it be nice if HR got out of the way and let those who would be working directly with the candidate do the interviewing? HR can handle the payroll and benefits once a decision has been, but otherwise, keep out!